Be a College Wear Supermodel! See yourself on the homepage of CollegeWear.com! Enter your photo to be our next College Wear Supermodel and you could WIN $100 towards your favorite university gear! Submit a photo of yourself showing off your favorite college apparel. The photo can be a selfie, a picture by a friend or family member, or a professional shot — the style and background location are completely up to you. Be creative! Model good-looks are always great, but we are also looking for unique photos with personality and flair. Everyone is welcome to submit their photo wearing their favorite college apparel: current students, alumni, parents, school team fans, etc. If we like your photo, we will award $100 in College Wear Gift Cards to feature it on the home page of our website and in other promotional materials! BE A COLLEGE WEAR SUPERMODEL NOW! Submit your photo using the form below. The preferred photo is a 1024 x 768 pixel jpeg in tall or wide format. Name, Email Address, and Anti-Spam Math fields required; all other fields optional. Here we go! Browse to select an image to upload; preferred is a 1024 x 768 pixel jpeg, tall or wide. Minimum size is 800 x 600 pixels at 72dpi; maximum 2048 x 1536 at 300dpi. Please scale larger files prior to submission. Files may be jpeg, png, gif, pdf, or bmp. DO NOT SUBMIT A .ZIP FILE; we will not open it. Upon submission, the photo becomes property of CollegeWear.com per the Contest Rules below. BY SUBMITTING A PHOTO TO US, YOU AGREE TO THE OFFICIAL RULES OF THE CONTEST. NO PURCHASE NECESSARY TO ENTER A PHOTO. A PURCHASE WILL NOT IMPROVE YOUR CHANCES OF WINNING. VOID WHERE PROHIBITED BY LAW. 1. Sponsor: The COLLEGE WEAR SUPERMODEL PHOTO CONTEST (the Contest) is sponsored by CollegeWear.com (hereafter Sponsor) with offices located at 8069 Amber Ln, Cleveland, OH 44141. 2. Eligibility: These are the Official Rules (the Official Rules) for the Contest. The Contest is open only to persons who are legal residents of and are currently located in the 50 United States or the District of Columbia,Puerto Rico, Guam and the U.S. Virgin Islands, who are at least eighteen (18) years of age on or before the date of entry. Any individuals (including but not limited to employees, officers, directors, consultants, independent contractors, and interns), who have, within the past six (6) months, performed services for the Sponsor (hereafter the Administrator), their parent, subsidiary, or affiliated entities, or agents acting on behalf of the above entities, including but not limited to all other promotional partners, or any organizations responsible for sponsoring, fulfilling, administering, advertising or promoting the Contest or supplying the prize(s), and/or their respective parents, affiliates, subsidiaries, licensees and distributors, and immediate family and household members of such individuals, are not eligible to enter, play or receive a prize. “Immediate family members” shall mean parents, step-parents, children, step-children, siblings, step-siblings, or spouses. “Household members” shall mean people who share the same residence at least three (3) months a year. Eligibility is subject to all federal, state, and local laws and regulations. 3. Entry Period: Consumers may enter the Contest at any time (the “Entry Period“). Online: Visit http://collegewear.com/apparel/be-our-next-college-wear-supermodel/ and follow the instructions to submit an Entry. All entries are subject to verification by the Administrator. Entries must be uploaded in compliance with the Contest requirements. Entry entries that do not meet the specifications or otherwise do not comply with the Official Rules herein may be automatically disqualified. Incomplete, illegible or mutilated entries will be automatically disqualified. No responsibility is assumed for lost, late, misdirected, damaged, altered or illegible entries. Any attempted form of entry other than as described herein is void. Administrator and or Sponsor will determine in its sole discretion what constitutes a valid entry. All materials submitted become the property of the Sponsor and will not be returned or acknowledged. In the event of a dispute about the identity of an entrant, entries will be declared made by the Authorized Account Holder of the e-mail address submitted at the time of entry (if eligible). “Authorized Account Holder” is defined as the natural person who is assigned to an e-mail address by an Internet access provider, online service provider or other organization (e.g., business, educational institution, etc.) that is responsible for assigning e-mail addresses for the domain associated with the submitted e-mail address. The potential winner may be required to provide Sponsor with proof that the potential winner is the Authorized Account Holder of the e-mail address associated with the winning entry. Entries must be submitted from a valid e-mail account, which may be identified by reverse domain name search. – Must be your own original work. – Cannot have been submitted in any other prize promotion or featured on a public website. – May only contain content, for which you have, or have the power to grant, all required consents and approvals. – Cannot contain, as determined by Sponsor, content that is sexually explicit, violent, derogatory of any ethnic, racial, gender, religious, professional or age group, which violates any law, or which communicates a messages inconsistent with the positive good will to which we wish to associate. Submissions must not: (a) violate any third party rights, including, but not limited to, copyrights, trademark rights, or rights of privacy and publicity; (b) contain defamatory statements; (c) include threats to any person, place, business, or group; or (d) be obscene or indecent. Any elements that appear in the submission, including, without limitation, images, text, or other materials used must be entirely original and created by the entrant, or be in the public domain. Use of any elements that are not original or in the public domain will result in disqualification of a submission, in the Sponsor’s sole discretion. If a submission depicts any third party, that third party must be of the age of majority in his/her jurisdiction of residence and you must have permission from that third party to grant the rights to the Sponsor described in the “Sponsor’s Rights to Entries” section below. By submitting an entry, you represent that (a) you are the creator of the submission, (b) you own all rights to the submission, (c) the submission does not infringe upon or violate the intellectual property, privacy, or other rights of any third party, (d) the submission has not previously been entered in any other contest, and (e) the submission has not been previously published in any medium. The Administrator will not make available to the general public or to the Judges any entry that is obscene, pornographic, violent, offensive in any manner, or in any other way not suitable to be published (as determined solely by the Administrator). Entrants agree that the inability to publish an entry, or the obscenity, fraudulent nature or invalidity of the registration information (as determined by Sponsor or the Administrator, at their sole discretion) will render the corresponding entry void. 6. Sponsor’s Rights to Entries: By submitting an entry, you: (a) irrevocably grant the Sponsor, its agents, licensees, and assigns the unconditional and perpetual (non-exclusive) right and permission to copyright, reproduce, encode, store, copy, transmit, publish, post, broadcast, display, publicly perform, adapt, modify, create derivative works of, exhibit, and otherwise use your entry as-is or as-edited (with or without using your name) in any media throughout the world for any purpose, without limitation, and without additional review, compensation, or approval from you or any other party; (b) forever waive any rights of copyrights, trademark rights, privacy rights, and any other legal or moral rights that may preclude the Sponsor’s use of your entry, or require any further permission for the Sponsor to use the entry; and (c) agree not to instigate, support, maintain, or authorize any action, claim, or lawsuit against the Sponsor on the grounds that any use of the entry, or any derivative works, infringes any of your rights as creator of the entry, including, without limitation, copyrights, trademark rights, and moral rights. 7. Judging: All entries will be judged solely by the Sponsor. Sponsor will choose one Supermodel each week through its own selection criterion to feature on its website. The Sponsor will use various analytics data from its web site and its social media accounts to determine the most trafficked and shared photos for each week of that month of the Contest to determine the winner for that month. The odds of winning depend on the number of valid entries received and the quality of the entries. The decision of the Sponsor or the Administrator, as applicable, shall be final and legally binding as it pertains to this Contest. The winning entry will be announced on or about the first business day of the month after the contest ends. 8. Prizes: The “College Wear Supermodel of the Month” winner will be provided an electronic gift certificate valued at $100. This e-gift certificate may be claimed for merchandise at the listed college apparel retailer designated on the certificate only; there is no cash value to this certificate. The selection will be made by the fifth of the month for the previous contest month. Winners will be notified via email within seven days following the selection. If the notification is returned as undeliverable, or if no response is received within the specified prize claim deadline, we may award the prize to another winner if we so choose. Winner will be required to provide an active email address in order to be contacted for eligibility verification and prize award fulfillment. Limit one prize per person. If there is a dispute as to who is the potential winner, we will consider the potential winner to be the authorized account holder of the account used to enter the Contest. If you are a potential winner, you will be required to sign an affidavit of eligibility, liability release, publicity release (unless prohibited by law), and other legal documents as necessary (the “Documents”) within five (5) days of notification. If you do not complete the required Documents as instructed and/or return the required Documents within the time period listed on the winner notification message, we may disqualify you and select an alternate winner. Winner is responsible for any and all taxes, including income taxes, should there be any. The Winner may receive a tax form 1099. By entering, participants release and hold Sponsor, Administrator, and each of their respective parent companies, subsidiaries, affiliates, distributors and advertising and promotional agencies, and each of their respective directors, officers, employees, and agents, and all others associated with the development and execution of this Contest (collectively, the “Promotion Entities“) harmless from and against any and all liability, losses, damages or injuries of any kind resulting from participation in the Contest or any Contest-related activity, prize, taxes, or from entrants’ acceptance, receipt, possession and/or use or misuse of any prize. Each entrant waives the right to assert, as a cost of winning a prize, any and all costs of redemption or travel to redeem said prize. The Promotion Entities will not replace any lost or stolen prize items once in the Winner’s possession. The odds of winning will depend on the number of entrants. 9. Publicity: Acceptance of prize constitutes permission (except where prohibited by law) to use Winner’s name, hometown, photo entry, voice, prize won and contest responses for purposes of advertising, promotion and publicity without additional compensation. Submission of an entry grants the Sponsor and their agents the right to record, copy, publish, use, edit, exhibit, distribute, perform, merchandise, license, sublicense, adapt and/or modify such entry in any way, in any and all media, without limitation and without any compensation to the entrant. Submission of an entry further constitutes the entrant’s consent to irrevocably assign and transfer to Sponsor any and all rights, title and interest in the entry, including, without limitation, all copyrights. You acknowledge that Sponsor is in no way obligated to publish or use your submission in any way. All federal, state and local laws and regulations apply. Nothing herein shall constitute an employment, joint venture, or partnership relationship between you and Sponsor. In no way are you to be construed as the agent or to be acting as the agent of Sponsor. 10. Conduct: By participating in this Contest, each entrant agrees to abide by these Official Rules and the decisions of the Sponsor, Administrator and Judges, which are final and legally binding as they pertain to this Contest. Sponsor reserves the right at its sole discretion to disqualify any individual it finds to be tampering with the entry process or the operation of the Contest or the web site or to be acting in violation of the Official Rules. Sponsor reserves the right to lock out an entrant whose eligibility is in question or who has been disqualified or is otherwise ineligible to enter. CAUTION: ANY ATTEMPT BY AN ENTRANT TO DELIBERATELY DAMAGE ANY ADMINISTRATOR’S SITE OR ANY THIRD PARTY WEB SITE OR UNDERMINE THE LEGITIMATE OPERATION OF THE PROMOTION MAY BE A VIOLATION OF CRIMINAL AND CIVIL LAWS AND SHOULD SUCH AN ATTEMPT BE MADE, SPONSOR RESERVES THE RIGHT TO SEEK DAMAGES AND/OR OTHER REMEDIES FROM ANY SUCH PERSON TO THE FULLEST EXTENT PERMITTED BY LAW. 11. Notice to Contestants: Sponsor is not responsible for problems downloading or uploading of any Contest-related information or entries to or from the web site or for any other technical malfunctions of electronic equipment, computer on-line systems, servers, or providers, computer hardware or software failures, phone lines, failure of any electronic mail entry to be received by Sponsor on account of technical problems, traffic, congestion on the internet or the web site, or any other technical problems related to web site entries including telecommunication miscommunication or failure, and failed, lost, delayed, incomplete, garbled or misdirected communications which may limit an entrant’s ability to participate in this Contest. If applicable, mass entries or entries generated by a script, macro or use of automated devices will be disqualified. Sponsor reserves the right to modify, suspend or cancel the Contest in its entirety at any time, including without limitation in the event the Contest becomes infected by a computer virus or is otherwise technically impaired, or should tampering, unauthorized intervention, fraud, technical failures or other causes beyond Sponsor’s control corrupt the administration, security, fairness, integrity or proper play of the Contest. If this is the case, a winner will be selected from among all entries received prior to cancellation according to the criteria set forth above. 12. Severability and Headings: If any provision of these Official Rules is found to be unlawful, void, or for any reason unenforceable, then that provision shall be deemed severable from these Official Rules and shall not affect the validity and enforceability of any remaining provisions. Headings and captions are used in these Official Rules solely for convenience of reference, and shall not be deemed to affect in any manner the meaning or intent of these Official Rules or any provision hereof. 13. Disputes and Governing Law: Except where prohibited, entrant agrees that: (1) any and all disputes, claims and causes of action arising out of or connected with this Contest or any prize awarded shall be resolved individually, without resort to any form of class action, and exclusively by a federal or state court located in the state of Ohio any and all claims, judgments and awards shall be limited to actual out-of-pocket costs incurred, including costs associated with entering this Contest, but in no event attorneys’ fees; and (3) under no circumstances will entrant be permitted to obtain awards for, and entrant hereby waives all rights to claim, indirect, punitive, incidental and consequential damages and any other damages, other than for actual out-of-pocket expenses, and any and all rights to have damages multiplied or otherwise increased. 14. Construction: All issues and questions concerning the construction, validity, interpretation and enforceability of these Official Rules, or the rights and obligations of the entrant and Sponsor in connection with the Contest, shall be governed by, and construed in accordance with, the laws of the State of Ohio, U.S.A., without giving effect to any choice of law or conflict of law rules (whether of the State of Ohio or any other jurisdiction), which would cause the application of the laws of any jurisdiction other than the State of Ohio. 15. Disclaimer and Force Majeure: Administrator, Sponsor, and the other Promotion Entities are not responsible for: (1) typographical errors in any materials relating to the Contest; (2) lost, misdirected, illegible, incomplete, or delayed entries; (3) cancellations, postponements, or delays; (4) Acts of God, war, terrorism, government regulation, disaster, fire, strikes, civil disorder; (5) unauthorized human intervention in any part of the entry process or the Contest; (6) electronic or human error which may occur in the administration of the Contest or the processing of entries; or any other causes beyond such parties’ control, making it inadvisable, illegal, impossible, or impractical to continue the Contest or to perform under these Official Rules. Administrator and Sponsor make no warranty, guarantee, or representation of any kind concerning any prize; Administrator and Sponsor specifically DISCLAIM ANY IMPLIED WARRANTY OF MERCHANTABILITY, WARRANTY OF FITNESS, AND ANY OTHER IMPLIED WARRANTY. 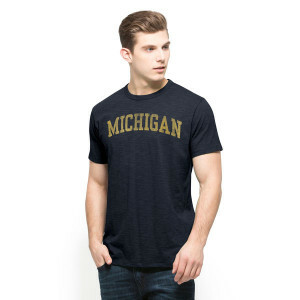 © CollegeWear.com. All rights reserved.